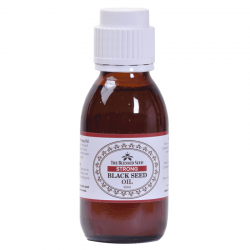 As we have three different strengths of black cumin oil, there is more versatility with our products than with others. 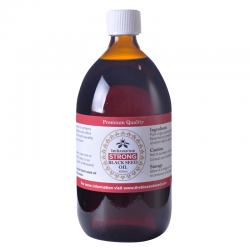 We recommend our mild oil for children and very sensitive individuals. For beginners and sensitive people, we advise you to choose between the mild and the original. If you decide to start with the strongest oil, be warned that this product needs to be treated with due respect and caution, even if you consider yourself to be healthy. The reason for this is that nigella sativa is a powerful detoxifier and antimicrobial, which means that pathogens will be eradicated in great numbers. Pathogens like candida albicans release a slew of toxins when they die – something like 79 different ones, including ethanol (alcohol), uric acid, and acetaldehyde. This can make you feel fluey, headachy, and miserable and is commonly known as a die-off, healing crisis or Herxheimer reaction. It feels horrible but it is just your body throwing off the poisons (detoxing) and because your liver is temporarily overwhelmed. Most people in industrialized nations have a candida overgrowth in their guts. Excess sugar and processed carbs in the diet feed this fungus while antibiotics and other pharmaceutical drugs kill off the friendly bacteria that naturally keep candida in check. 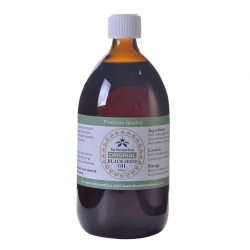 If you do use the strong blessed seed oil, start with a few drops and build up slowly. 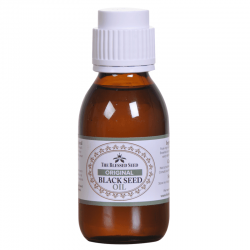 If you have a suppressed immune system and extreme allergies, your symptoms may well get worse when you start taking black seed oil. If you take too much of the oil at the beginning, especially the strong one, the detox may be too severe to handle. If you find yourself in this position, cut back on the blessed seed, drink plenty of good quality water, take Epsom salts baths, gentle exercise and some rest, and know that it will soon pass. While this product is not known to have any adverse effects when taken in conjunction with other medication, you should always contact your healthcare practitioner. Always start slowly with herbal supplements on a low dose and gradually build up the dose. You may use this as a guideline for taking the blessed seed oil. Children 11 and under should take half the adult dosage. How fast you progress, and how high a dose to take depends on you and how you respond. A common cause of adverse reactions with herbal supplements is taking too high a dose too quickly. Your body can only clear out toxins and congestion at a given rate and exceed this rate causes you to feel unwell. By building up the dose gradually, this is largely avoided, or the threshold of your capacity to clear out is realized and then you can change the dose accordingly. BLACK SEED OIL CAPSULES DOSAGE. Capsules are an expensive way to use blackseed oil. 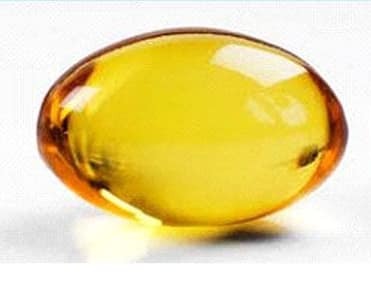 It’s much better value to buy the oil un-encapsulated as you otherwise just pay for the encapsulation process. If the taste is too strong for you, then capsules are the alternative way to go. Start with 1 or 2 capsules a day for 3 days, then increase the dose to 3 capsules a day (spread out throughout the day). After another 3 days, add 1 more capsule to the dose then up the dose to 6 capsules (2 capsules 3 x daily). 6 capsules is the equivalent of 1 teaspoon of oil. If you want to use the caps for topical application, simply break open a capsule and apply the oil. Of course, we are all different and some of us can tolerate a much higher dosage than others. John Claydon, who runs a health food supplements mail catalog, describes his first experience with the blessed seed oil.